The Nile Project will perform their newest line-up at the Greek Campus on Thursday 27 November and at the Bibliotheca Alexandrina on Friday 28 November. After the concert, the musical collective will head to the US on their first tour outside of Africa, the project's birthplace. 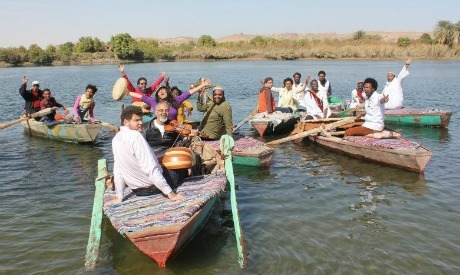 Through music and workshops, the Nile Project aims to connect the 11 nations, and 437 million people, who live around the Nile but that often fail at recognising themselves as a region. This performance will feature musicians from 11 countries. In 2013, Nile Project released its first album titled Aswan, holding two packed concerts in Aswan and Cairo. The album was also well received abroad.